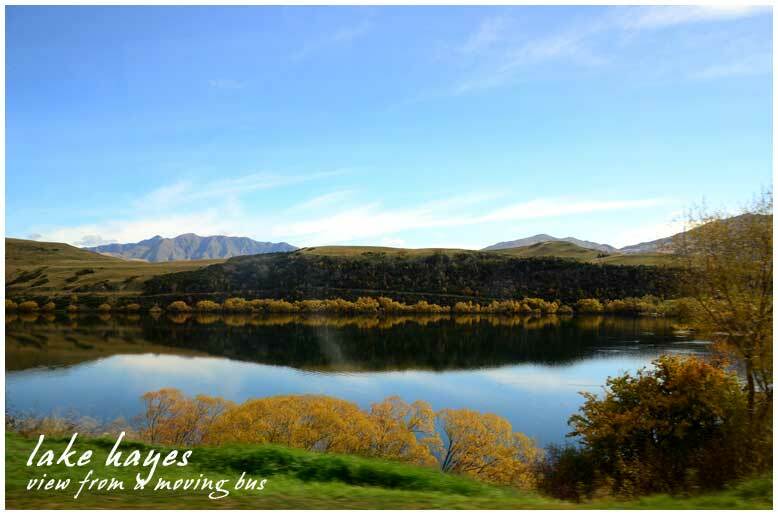 It’s a photo I took of Lake Hayes, while on the bus to Arrowtown. It’s beautiful isn’t it? Well, the South Island is beautiful, I suppose it has something to do with the imposing mountain ranges which the North Island doesn’t have. The Remarkables at Queenstown really are remarkable and the mountain ranges that lead up to Wanaka and Tekapo are just amazing. Anyway. I’ll compose my thoughts first and write more stories tomorrow.